1.1m E on Fagra Rd (unclassified) from Dundrennan (A711). 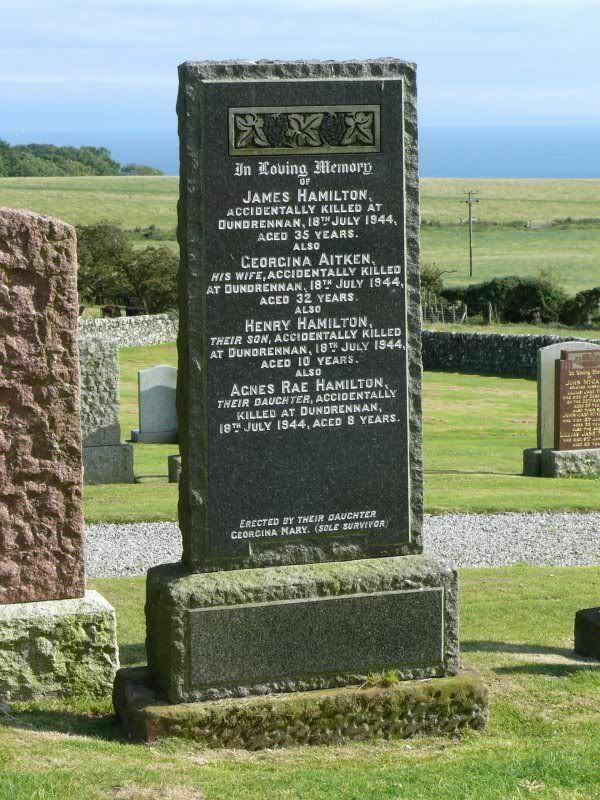 The Hamilton family were killed when a Beaufighter crashed onto their house. 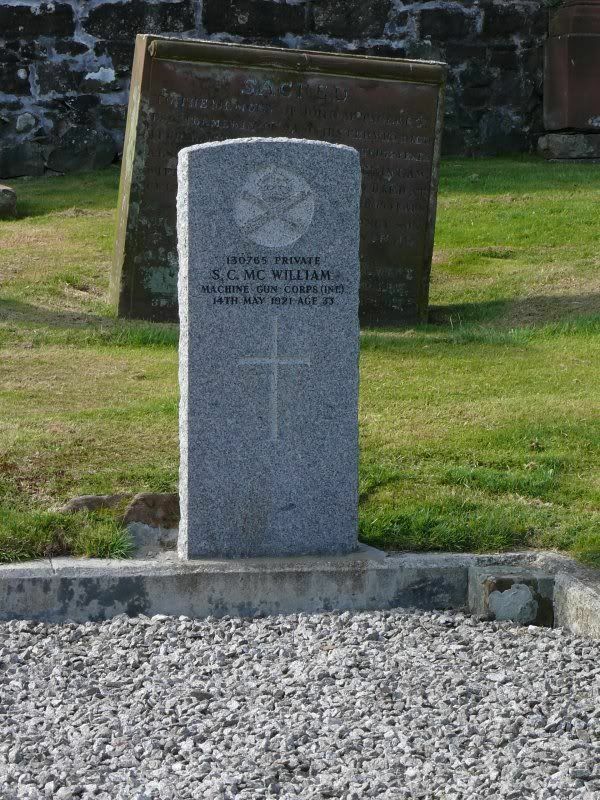 They are listed on CWGC, not under Rerrick Parish Churchyard but as Kirkcudbright County Scotland. 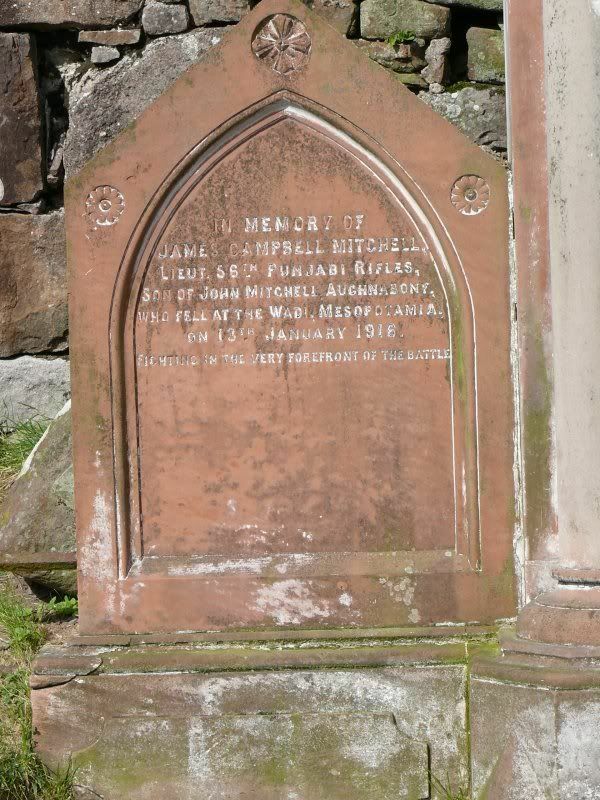 Their grave is certainly in this churchyard and I will be posting the photo shortly along with the other war grave. This means that the count of graves is also wrong. I don't know if this is the normal way to treat civilian war dead on CWGC but it came as a surprise to me. 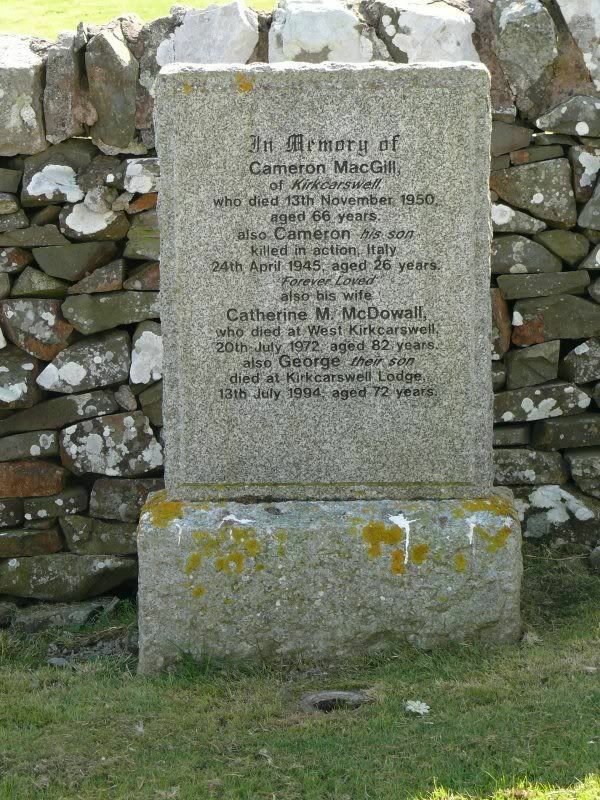 Additional information: Son of Alexander and Mary McWilliam. This family of four are all listed on CWGC although it is a private headstone. Additional information: of Dundrennan Village. 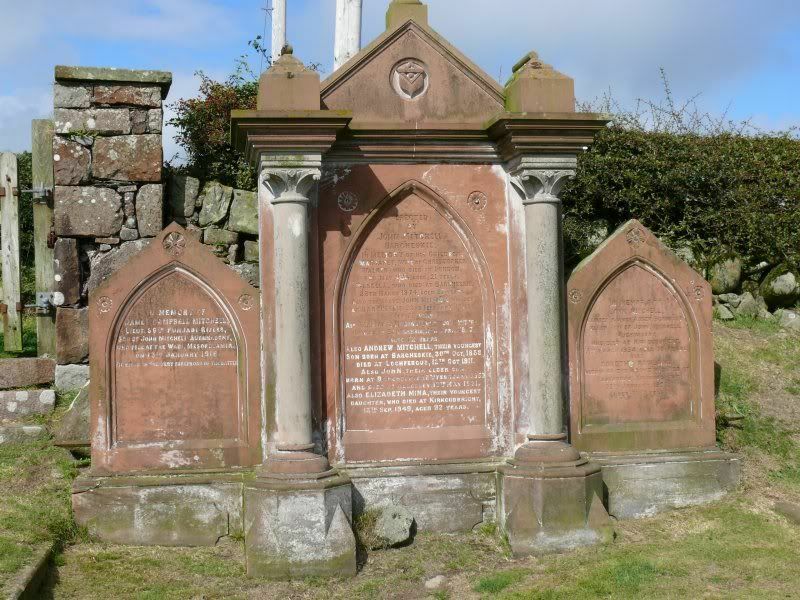 Son of Henry and Mary Ann Hamilton, of Ingleston, Twynholm; husband of Georgina Rae Hamilton. Died at Dundrennan Village. Additional information: of Dundrennan Village. Daughter of the late Thomas and Georgina Aitken; wife of James Francis Graham Hamilton. Died at Dundrennan Village. Additional information: of Dundrennan Village. Son of James Francis Graham Hamilton and Georgina Rae Hamilton. Died at Dundrennan Village. Additional information: of Dundrennan Village. Daughter of James Francis Graham Hamilton and Georgina Rae Hamilton. Died at Dundrennan Village. Grave/Memorial Reference: II, B, 12. Additional information: Son of John and Mary Mitchell, of Arden House, Allesley, Coventry. Late of Mercantile Bank of India, Ltd., Calcutta. Grave/Memorial Reference: Panel 43 and 65. James was employed by the Mercantile Bank of India in Calcutta and pre-war was a Captain in the Calcutta Vounteer Rifles. He took up a commission in the Punjab Rifles in September 1914 and served in Egypt and Aden before moving to Mesopotamia where the regiment took part in the relief of the British forces in Kut-el-Amara. He was killed while commanding the machine gun section at the Battle of the Wadi at Shiekh Saad. Born 1883 at Borland of Dryfe, Hutton, Dumfriesshire. Son of John and Mary (Campbell) Mitchell of Auchanbony, Dundrennan and of Arden House, Allesley, Coventry. Killed in Action on 13 January 1916 and named on the Basra Memorial, Iraq.